The glittering coastline of Croatia -- known as the Dalmation Coast -- is rapidly being revealed as one of 21st-century travel's greatest treasures. Many cruisers know the iconic town of Dubrovnik, but fewer realize just how many equally stunning and less crowded ports the magical Dalmation Coast region has to offer. 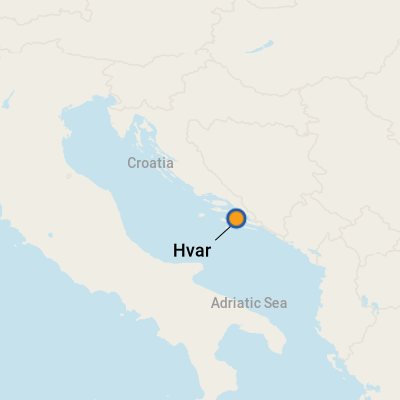 One such spot is Hvar town, on the island of the same name. 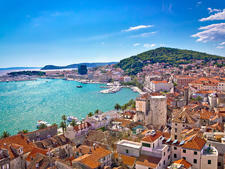 Overlooking a large, very beautiful bay -- and an archipelago of smaller islands bearing its name -- Hvar's "modern" history starts in the 12th century, when it was a key base for the Venetians' Adriatic fleet. They retained the town and developed it in their own inimitable style until the 18th century. You'll see that influence everywhere, from the grand square at the heart of the town to its ancient arsenal, which once prepared galleons for trade or war, and the fortifications which overlook the harbor. Present-day Hvar is a delightful place, increasingly popular but still charmingly uncommercialized, an island that has kept its soul and style. You'll see it in the boutiques and bustling cafes around St. Stephen's Square and in the smart but affordable restaurants that line the waterfront. Cruise passengers who visit for one day -- and have to tender from their ships to do that -- will probably want to spend their precious time ashore simply exploring the meandering alleys and glittering waterfront of Hvar town, particularly if this is their first visit. But if you've been to Croatia more than once, plan a taxi or self-drive tour of the island. Its fragrant, lavender-and-rosemary smothered interior and its oldest settlement, Stari Grad, are well worth exploring. Another good choice: a boat trip around the pine-covered Pakleni Islands, where you can swim in sparkling seas and feast on their bounty at beachfront restaurants. 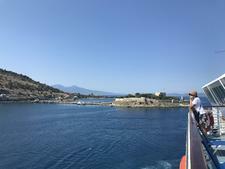 Cruise ships generally drop anchor in the bay near Hvar town and tender passengers to shore. Get off your ship's tender and you're right in the thick of it. Turn right for the Franciscan monastery and a pretty cove where families swim; head left for the main harbor and town and St. Stephen's Square. Hospitable restaurateurs doling out fruit brandy (rakija). There are many variations, including sljivovica (mades from plums), travarica (herbal) and kruskovac (pear). But they're all strong enough to send you back to your ship cross-eyed. Sip slowly, and enjoy them with water. Nudist beaches stud the more secluded parts of the Pakleni Islands. They're great if you want an all-over tan, but check before disrobing. On Foot: Hvar is very easily explored on foot. Head right from the tender drop-off, and just a minute or two away, you'll find a pretty cove where the locals bathe and, just beyond it, the Franciscan Monastery. (See Don't Miss.) Or turn left for the ferry office and ATM, lots of waterfront restaurants and -- about ten minutes' walk away -- a pretty park and, just to the right, St. Stephen's Square. Currency is the Croatian kuna, which replaced the Yugoslav dinar in 1994. 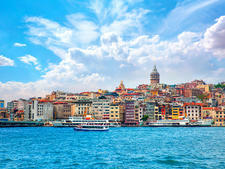 For currency-conversion rates, check www.oanda.com or www.xe.com. Most shops accept euros and credit cards. ATMs abound along the Riva (the street along the waterfront); the first one you'll come across is to the left of the main tender station, next to the Jadrolinija ferry office. Croatian is the language of Hvar, but on this sophisticated and tourist-friendly island, you'll find most of the residents speak at least a smattering of English. Given its history and location, it's hardly surprising that the food in Hvar is powerfully influenced by both Italian and Eastern European cuisine. You'll find more eastern European dishes -- like goulashes, stews and grilled meat dishes -- if you venture to the interior. If you're dining along the coast, expect lots of Italian-style pasta and pizza dishes, as well as excellent fresh-caught fish and seafood. Like to eat as the locals do? Then look out for peka (sometimes called ispod peke), a hearty tagine-style dish in which lamb or squid is slow-cooked under a bell-shaped lid placed on hot coals. More hot coals are piled on top, and vegetables are added as the meat or seafood grows tender. Other local specialities include Hvarska gregada, a dish created by Hvar's fishermen, which combines the day's catch with potatoes, white wine and herbs. Don't leave Hvar until you've sampled prsut (Croatia's version of prosciutto ham) and Paski sir, a delicious sheep's cheese from the island of Pag -- you'll find both widely featured in restaurant menus. Prefer to snack on the go? You can always grab a tasty slice of pizza -- every bit as good as the Italian version -- but look out, too, for more local fast food specialities like cevapcici (thin sausages made from minced meat) and burek (baked pastries stuffed with mince, spinach and cheese). And for dessert, try fritule, mini sugared doughnuts flavored with fruit, or kremsnita, a glorious vanilla custard cake. Or ice cream (called sladoled), which you'll find in great quivering, pastel-tinted mounds in the fridges of most cafes. If you like to follow your nose when choosing a lunch venue, you'll find a whole host of them along Hvar town's pretty waterfront. Hvar is famous for its lavender, and all along the seafront you'll find little stalls selling jars of lavender honey and pretty pom-pom or heart-shaped bags of lavender-stuffed lace. These are a good choice for take-home souvenirs because they're light, pretty, useful and will make your suitcase smell divine. Serious fashionistas will also find boutiques selling offbeat, handmade designer jewelry, clothing and handbags. The stylish and pricey shops are mainly located around St. Stephen's Square. You can pick up unique items like a designer turquoise necklace or a handmade bag. The wackiest drink you may see is Bambus -- a mixture of red wine and Coke served over ice. Beer-lovers should try Osjecko, the region's oldest beer, first brewed in the 17th century. You also should try Croatian wines, such as Plavac Mali, a lusty red from the Peljesac peninsula, or Posip, a white wine made around Korcula.